How Do Ladybugs Mate and Reproduce? 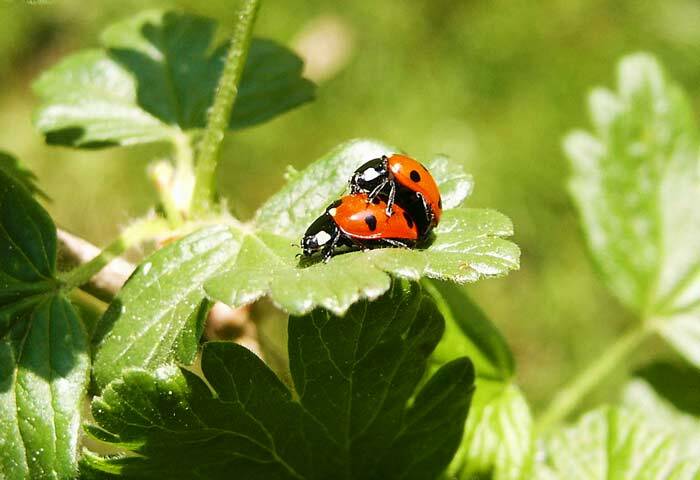 The mating and courtship rituals of ladybugs are poorly understood but to attract a mating partner, ladybugs secrete pheromones and, once a suitable partner is found, the insects copulate for up to 2 hours. After mating the pair will go their separate ways and the female ladybug will lay hundreds of eggs at the same time. Female ladybugs, however, can store the sperm from the male for 2 to 3 months until she decides to fertilize it is time to lay her eggs. Female lady bugs will lay her eggs on plants or grass in locations that are close to her food source. The eggs will hatch in 7 to 10 days.